It’s time to film our introduction/welcome video for the ICONS concert - and I am now looking for volunteers to star in this. 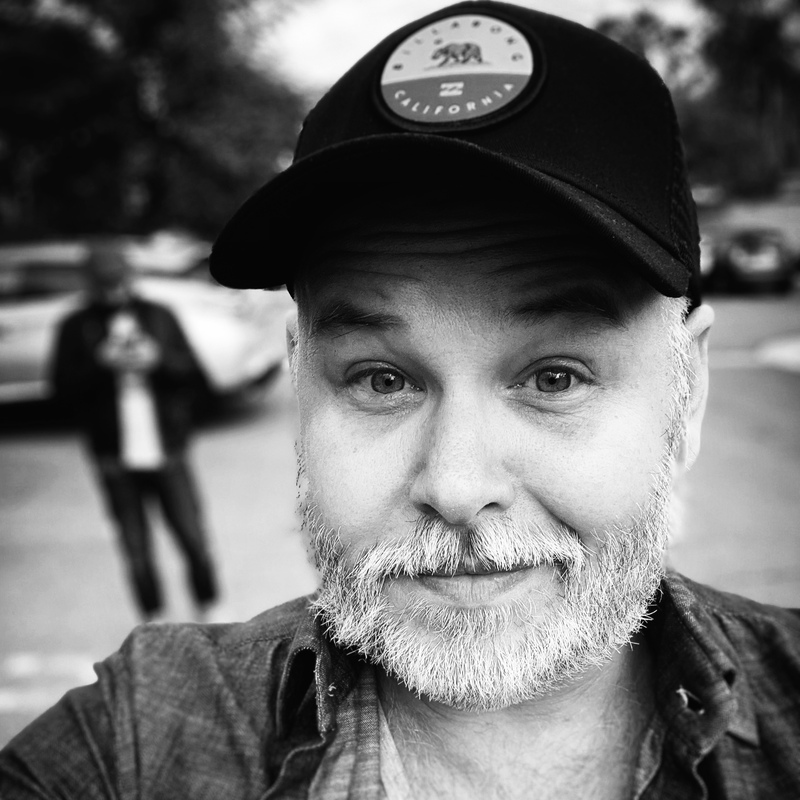 My idea is that everybody will read the same script - and we can then cut the lines together so every person will have their own line in the video - think airline safety video, think Nothing Compares To You music video - that style! 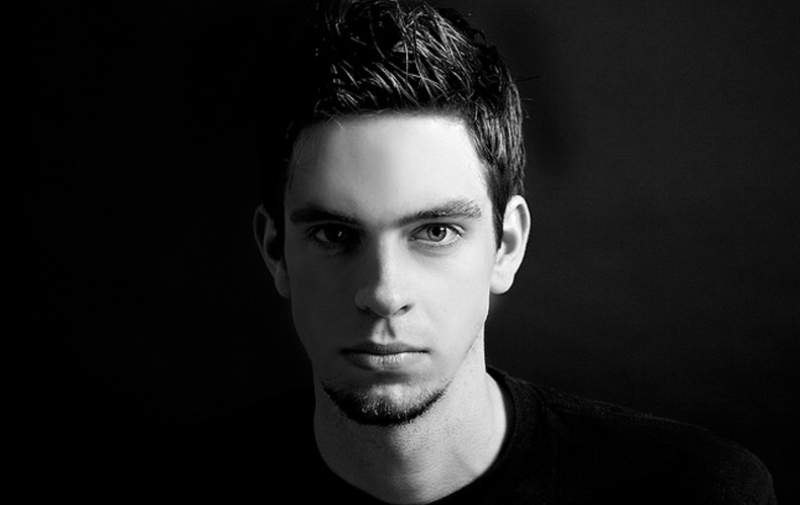 The look I am going for is something like this below - it will tie in nicely with the ICONS concept. Don’t be afraid of failing this - we really want AS MANY as possible from the choir to showcase on the big screen - we will be doing the filming at rehearsals and we can take and re-take as many times as we need - and finally - we’ll only use your the bits recorded. That’s the beauty of this concept. If you are interested in this - please let me know by sending me an email on concertdirector@singoutbristol.org.uk, alternatively come have a chat with me or Alex Williams (bass) at rehearsals. and thank you for coming. Tonight is the culmination of 9 months hard preparation for us. and we are so proud of the performance we are about to put on for you. the people who have played a big role in our community and in our lives. Please turn off your mobile phones, or put them in silent mode. You're allowed to take pictures, but please do not use the flash. so you don't disturb the performance and people sitting around you. Many of you have asked, "how is it going with ticket sales?". As of today, status is; we've come off to a good start - but could use a bit of a push. As you can see we've sold 582 tickets over both days so far - St George's have a total of 590 seats - so we've sold the hall completely out - but only once. We need to sell twice this number of tickets to have two sellout nights, so please do all you can to push sales for Friday. It would be a shame to perform for a half full St George's. Remember - you can still buy tickets from me at Tuesdays rehearsals. I have 121 left for Friday across all ticket bands, and only 44 seats left for Saturday (mainly balcony seats). The Committee have decided that we would like to choose a charity of the year. The chosen charity would receive a percentage donation of the profits we make at our concert this year. We would like to receive nominations from choir members for local charities they would like us to support. To make this process as easy as possible please follow the following guidance. Deadline will be the first of February when I will collate all the nominations and pick a top 3. The choir will then vote for the charity they wish to win out of the 3 and the winner will be decided. This video was posted to Facebook on New Years Eve, to mark the end of our 10th anniversary year. It's a 10 minute slideshow interspersed with a couple of clips of our performances. 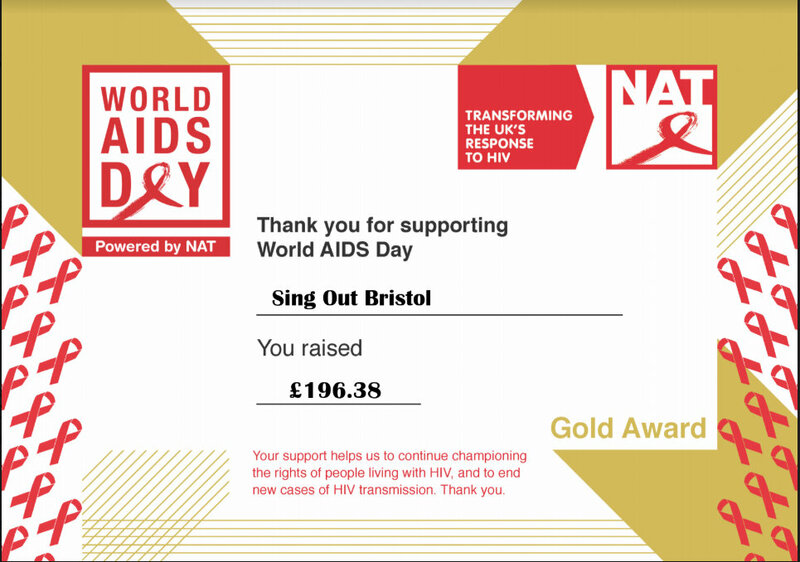 Here's the Gold Award certificate we received from The National AIDS Trust, veryfying the amount we raised for them on World AIDS Day 2018, with our performance in Cabot Circus. Thank you to evryone who came along to perform or support us on the day. 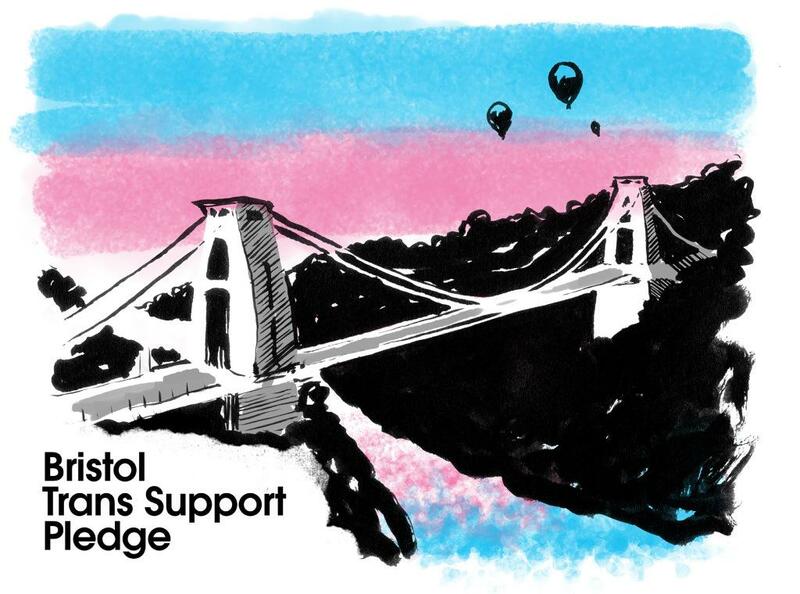 If you were at Pride, recently, you may be aware of the Bristol Trans Pledge, in support of the trans members of our community. 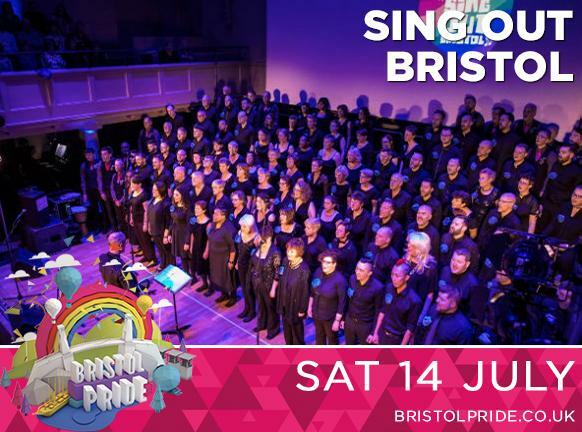 After consulting the trans members of the choir, Sing Out Bristol is proud to support this pedge as a choir, on our social media pages and we invite our members and followers to do the same. In the past few months trans people have come under increasing attack in the media. So much so that the International Lesbian & Gay Association has downgraded the UK in its annual Rainbow Europe rankings. We will be asking the people of Bristol to support this pledge via social media in the run-up to Pride. For further information about possible changes to the UK’s Gender Recognition Act, please see: https://www.stonewall.org.uk/truth-about-trans. Pledge wording taken with thanks from that used by Pride Cymru & Wales Equality Alliance. 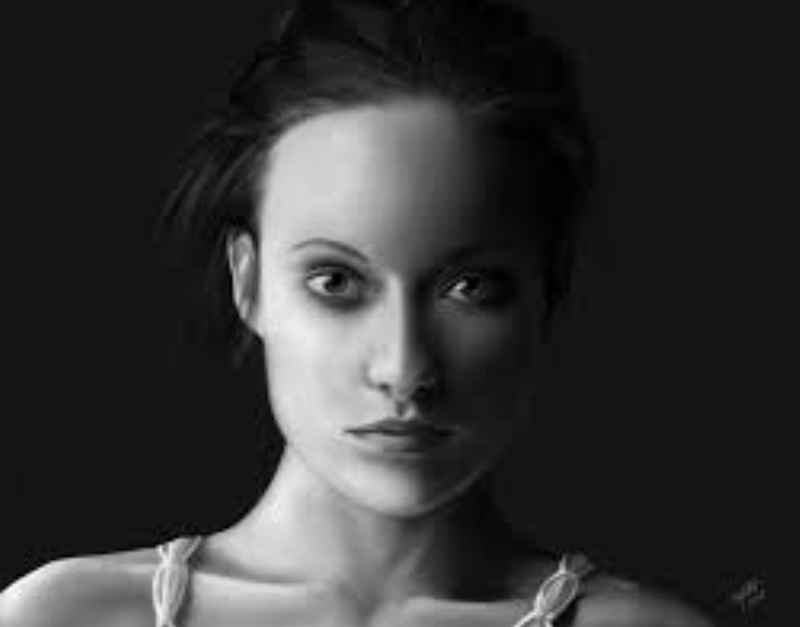 The artwork was provided by Frank Duffy. We are so excited about our performance at Bristol Pride tomorrow. 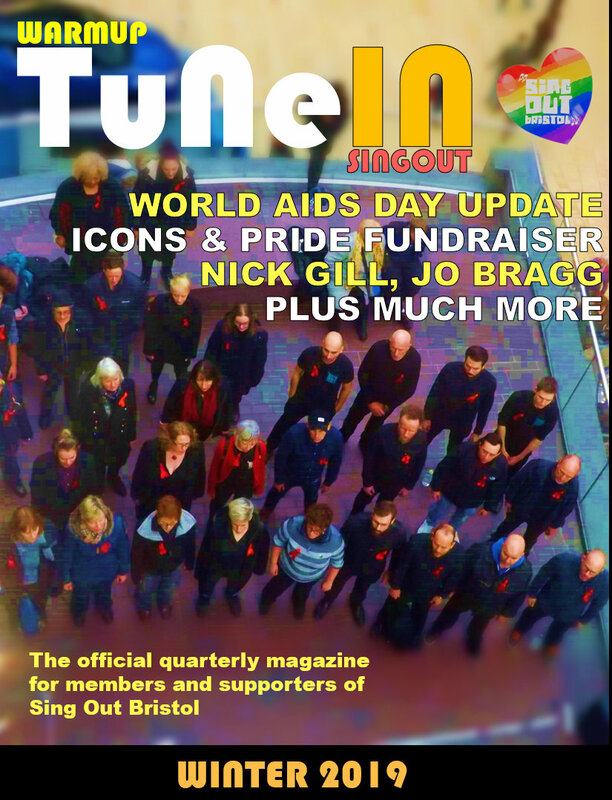 Click the magazine to view online, or download the PDF from the link below. Thank you for supporting World AIDS Day back in December. The six months since have just flown by! That’s a staggering achievement, and it’s all down to your hard work. Thank you. I wanted to let you know how your donations have helped to prevent new cases of HIV and champion the rights of people living with HIV. I’ve compiled a full report on what we've achieved, which you can access below. Please share it with anybody who took part in your World AIDS Day fundraising, so they can see the impact of their donation. If you tuned in to BBC2 at 9pm last night, you might have seen our Chief Executive and Director of Strategy in a documentary about PrEP. If you missed it, it's available on BBC iPlayer here. The documentary tells the story of how we fought to make PrEP available to 10,000 people on the NHS. PrEP has already prevented thousands of cases of HIV. It could spell the end of the HIV epidemic. With your support, we’ve been making the case to NHS England that more people should have free access to the drug. Having considered our evidence, it seems likely that NHS England will make more places available soon. We’re already planning our World AIDS Day 2018 campaign, including a full revamp of our educational resources and a campaign that will get even more people nationwide to wear the red ribbon with pride. 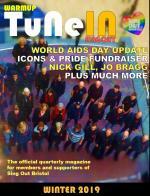 It would be great to have your support again for this year’s World AIDS Day. Save the date - and we’ll be in touch before then about how to get involved. 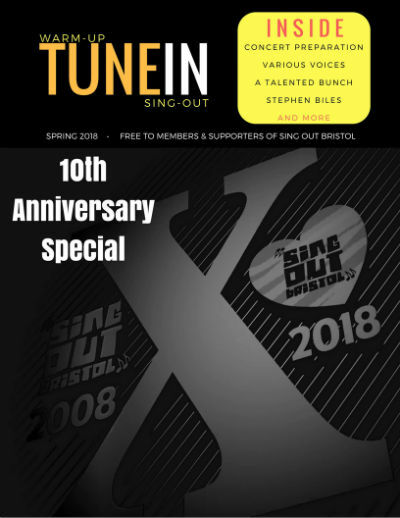 To celebrate reaching our 10th anniversary, and just ahead of the concerts, this weekend, here is the latest edition of the choir magazine, 'Tune-In, for all members and friends of Sing Out Bristol.. There's so much for our choir to look forward to in the next 18 months. 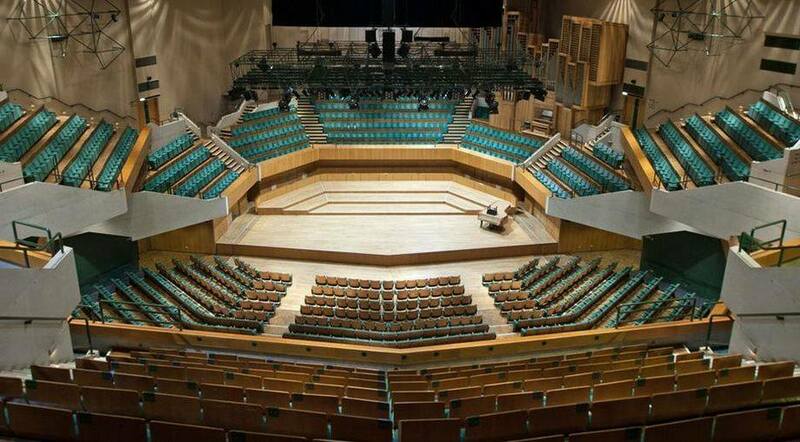 As well as Munich, in May this year, we're excited about performing on this stage, next year! 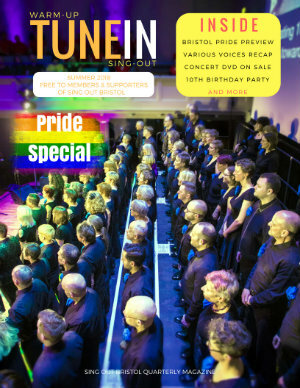 UK LGBT choir festival, Hand In Hand 2019 will take place in Cardiff at the prestigious St Davids Hall, following a successful festival in Manchester, last year. And, before all that, of course, there's the small matter of our 10th Anniversary concerts, this April. 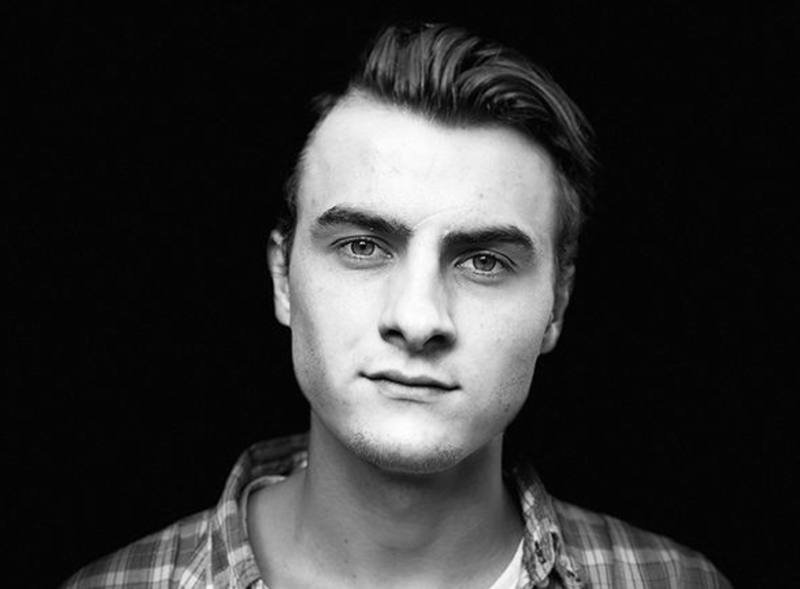 Just 24 tickets left for the Saturday performance, and around 90 for the Friday. It's been an amazing 2017 for the choir. We performed 10 times, more than any other year, and increased our members' social events to one a month. We end 2017 with 141 paying members and another 9 newbies who are in the process of deciding whether to join. 2018 will be even bigger and better. Thank you for supporting us in 2017 and we look forward to seeing you again in our 10th Anniversary year. But before that, watch this video: our highlights from 2017.